Well Fawn Friends, it's that time of year again - Back To School!!!! Well, in our case 2-days a week at 3 year old pre-school. It took me a while to make the decision to enroll my almost 2 year year old in pre-school last year, as I didn't think it was necessary because I was a stay at home mom and wasn't sure she would gain anything from it. Thank goodness I took the plunge because I quickly realized that I was completely mistaken. Not only did she learn so much from her pre-school teachers and fellow class-mates, the change in environment and exposure to more children her age helped her overcome her "stranger anxiety". This year, she couldn't wait to meet her new teachers and start her school year off in her new class. I'm so thankful for the wonderful ladies at her school, if it weren't for their kind and sweet hearts, I think she would still be clinging to my leg at drop off! With all that said, we excitingly purchased all of our school supplies and Kenzie was thrilled to be apart of the preparation this year. One of the things she was most excited about was her Napmat from the wonderful homemade/handmade Etsy Shop: Bee Diggs Designs. Even though she goes half a day, some days I may have to run a little late and it's nice to know she has her own little bed ready in case her time overflows into nap time for the rest of her class. 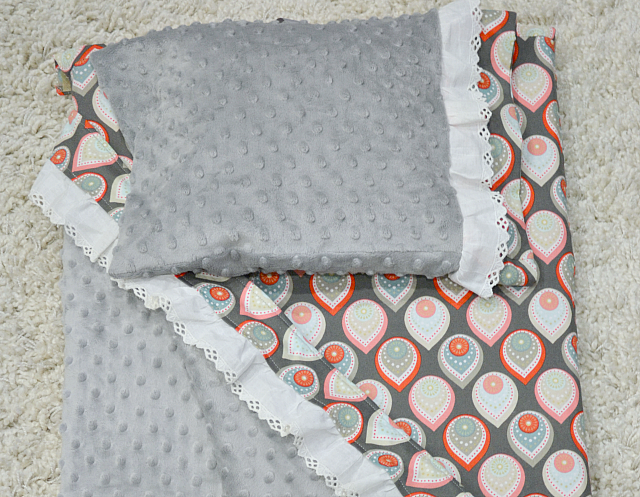 A while ago, I posted a review on Kenzie's Pillowcase dress designed by Bee Diggs Designs and when it came time for her napmat, Owner and Crafter Brenda did not disappoint! 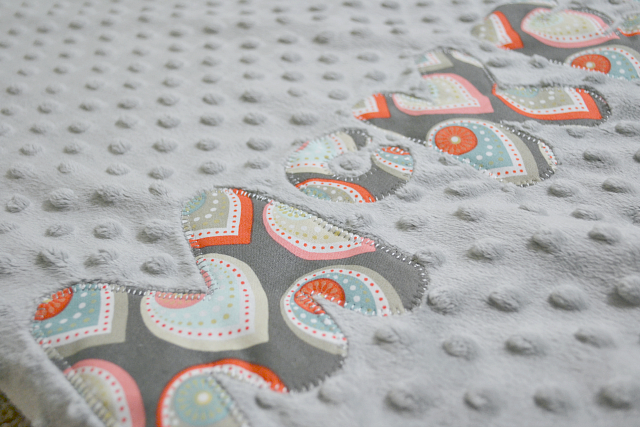 Not only is her napmat comfy, it is full of coordinating details and personalization that would make any toddler proud to call their own. 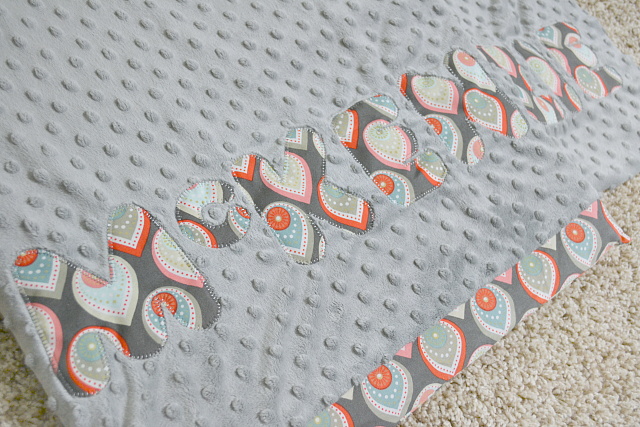 To personalize Kenzie's napmat, Brenda embroidered her name at the bottom of the blanket which is stitched to perfection and coordinates perfectly with her bottom sheet. 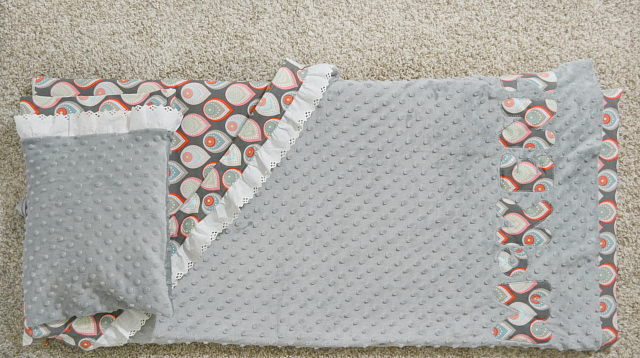 To make this beautiful napmat an even bigger hit for mommy, it can all be folded and tied together for easy carrying! No trying to keep it all in tact by bending, stuffing and cramming - all you had have to do is fold at it's natural crease and tie with a sweet grosgrain ribbon which also acts as your handle! 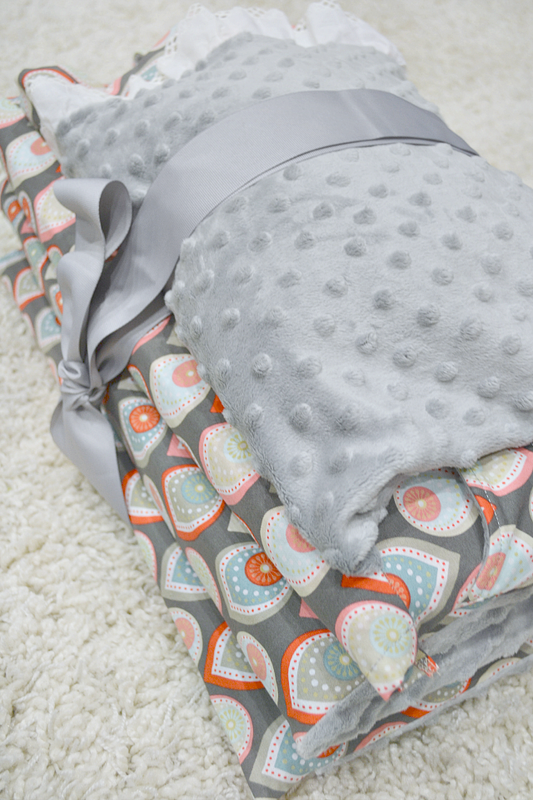 These napmats are secured with a velcro enclosure and pillow-case opening allowing for an easy slip on-and-off feature when it comes time to wash or freshen up. 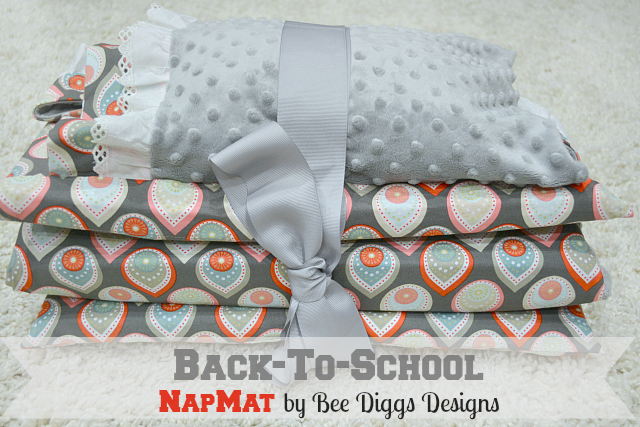 If you already have a napmat from last year and want to change it up a bit, Brenda also offers a custom listing allowing customers to purchase just the napmat cover so that you can change out your current cover giving your little a fresh new look for the new school year. They absolutely make for the perfect Back-To-School gift for your toddler and believe me they will consider this the most amazing present ever (or least mine did). 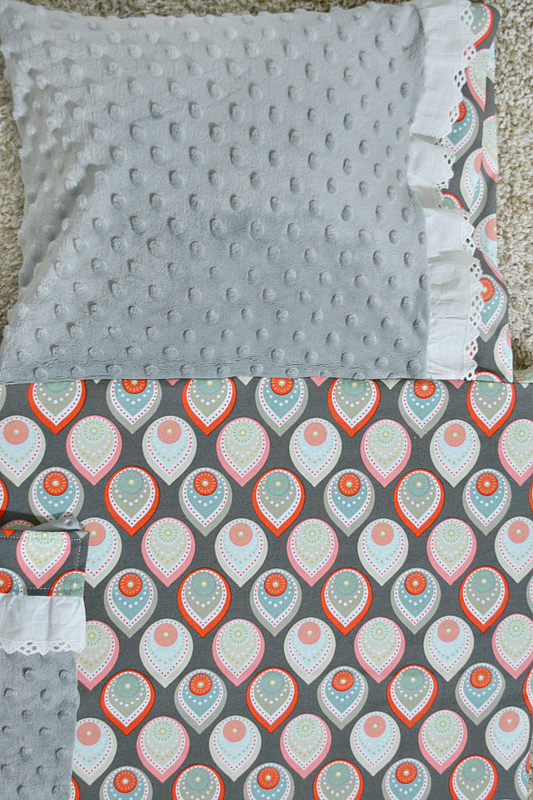 It will help them get started off on the right foot for the new school year and give them a little piece of comfort from home when they walk in on their first day! I can't say enough about the wonderful lady behind this and so many other beautiful creations that is Bee Diggs Designs. Feel free to stop by her shop, as there is so much more to see! If you have something you don't see in her shop, she would love to work with you on any and all visions you may have! Bee Diggs Designs is offering all Fawn Over Baby readers a FREE NAME EMBROIDER if you purchase your little one's NapMat during the month of August Only! Just use code: "free name" at checkout! 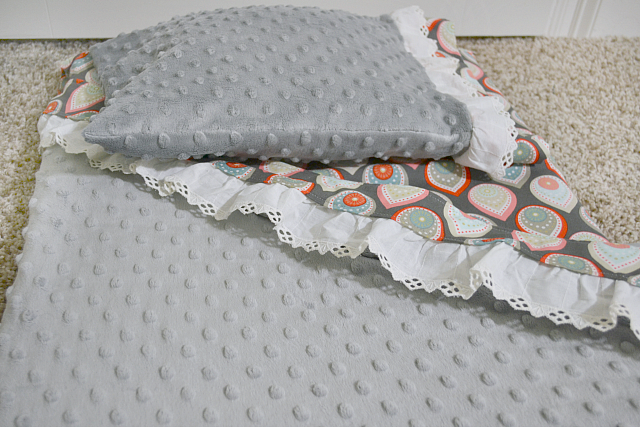 This comes just in time to send them off to school with their very own comfy personalized sleeping mat! Be sure to stop by the shop sometime this month to take advantage of this generous offer! Have A Happy Back-To-School from our family to yours!